I always have loads of little scraps of fabric left over from dolly dresses and am constantly looking for new things to do with them. 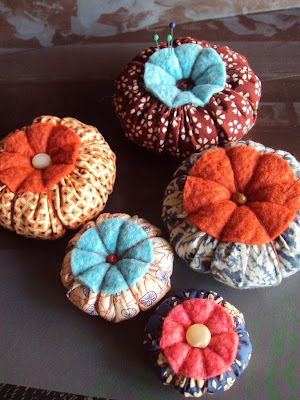 So last night I was inspired to make these little pumpkin-y pincushions. They are capped with hand made wool felt from Hay-on-Wye, which is incredibly soft. A very good friend of mine sent me a piece of Kaffe Fasset Paisley in gorgeous festive reds. it adds beautifully to my other prints. 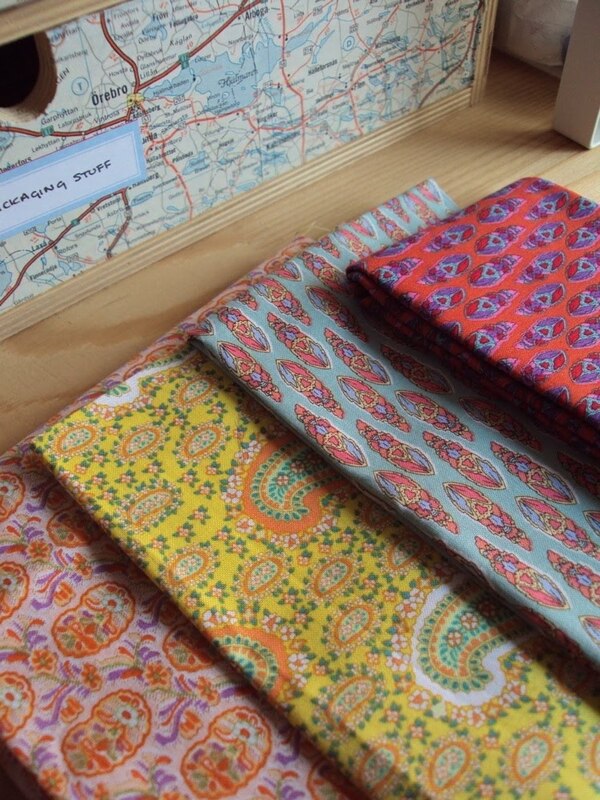 These are my favourite fabrics by him, and they are for Liberty of London.